Bamboo flooring is a fantastic choice for your home but be sure you weigh the pros and cons of all of your flooring options before making your choice. More and more of today’s homeowners are choosing bamboo flooring. It is extremely eco-friendly, looks beautiful, and is one of the hardest hardwoods available. As with anything else, though, it is important to do your research. Bamboo flooring is a fantastic choice for your home but be sure you weigh the pros and cons of all of your flooring options before making your choice. The natural beauty of bamboo is sure to make any room look more exotic. The grain patterns available can be quite different from traditional hardwood. A new bamboo floor would make a beautiful conversation piece for you and your guests. Bamboo flooring comes in a wide variety of price points, with some manufacturers charging as little as $2 per square foot. Like everything else, you really get what you pay for. If you’re considering some bamboo flooring but the pricing sounds too good to be true, it probably is. Be sure to ask your flooring professional about the sourcing and manufacturer of the bamboo you are considering. Wood forests take around 30 to 60 years to mature properly, and can be quickly decimated for manufacturing or other purposes. Bamboo matures in a small fraction of that time, taking just 5 years to be ready to be harvested. This exceedingly fast growth rate makes bamboo one of the most eco-friendly flooring choices available. Just like any other type of hardwood flooring, there are different types of bamboo flooring and they are not all created equal. 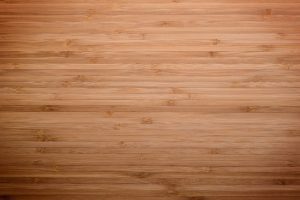 It is important to know which type of bamboo flooring you are looking at: traditional solid, solid strand or engineered. This entry was posted on Friday, December 8th, 2017 at 1:34 pm. Both comments and pings are currently closed.